This is a view of the highest mountain in Portugal ( Serra da Estrela) located at 2000 meters of altitude,photo taken just before the sunrise, with the mist/fog over the valleys and mountains. Wow. A very beautiful photo Nuno. Absolutely gorgeous Nuno. Although I hate those wind turbines ... they are invading Canada as well and destroying the scenery. 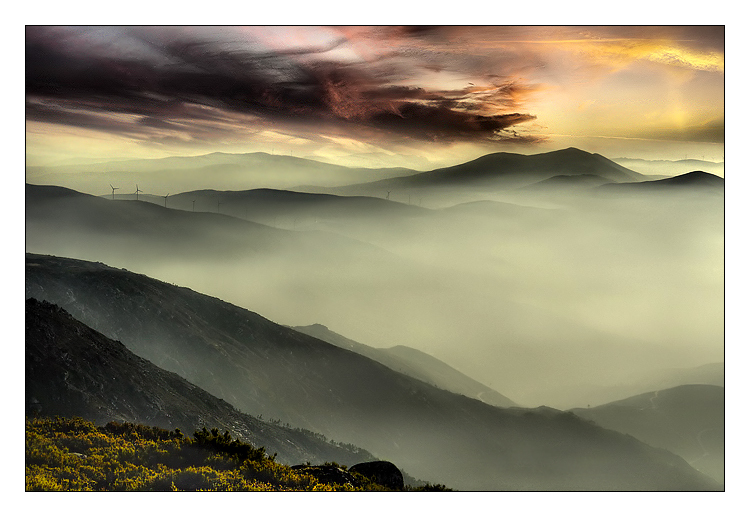 I love the great feeling of depth the mist in mountains creates ... and that sky really anchors the image. Excellent as usual. :! : :! : excellent work Regards Happy new year Nuno ! Excellent landscape! Excellent work! I like it. W.r.